Experts in Fire and Security for Over 30 Years. If you don’t believe us just click here and see what customers are saying about us! Security, fire detection, emergency and flood prevention Included With a 3 Year Monitoring Agreement. 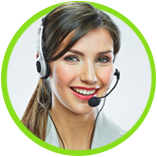 We will connect to your landline phone – no additional charge. A door or window contact is a two piece device that is installed between the window/door frame and the opening of the door/window. When door/window is pried open, the two pieces of the contact become separated and activate the alarm. All doors and windows that are vulnerable to intruders like the main floor or basement, should be protected with a door or window contact. However, this can add up. Savings Tip: If you have more than two windows and doors in a room, it creates a “choke point.” Replacing multiple contacts with a single motion detector at choke points makes sense. How many window contacts do you want? How many keypads do you want? (Remember 1 has already been added with your package.) Exit/entry doors are areas where you enter or leave most frequently and want the option to disarm your system from this area. Detects the sound of breaking glass when your window is broken instead of forced open. Protects your home from fire 24/7 even when your security system is not armed. 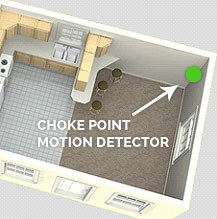 Detects carbon monoxide levels in the air which can be toxic. Detects flooding. Usually placed on the floor near the washing machine or dishwasher. Detects temperature changes - in case the furnace fails while you are away. Conveniently allows you to disarm your system from outside your home. Perfect for those you care for that are living alone. Comes with a belt clip, pendant and lanyard. Alerts first responders immediately in case of emergency.